The information presented on this page was originally released on May 18, 2001. It may not be outdated, but please search our site for more current information. If you plan to quote or reference this information in a publication, please check with the Extension specialist or author before proceeding. MISSISSIPPI STATE -- Harvest conditions are about the only bright spots in the hay and pasture outlook in Mississippi. Timing is everything in hay production. Pastures and fields need rain for growth, and producers need sunny days to preserve the quality of hay cuttings. Hay harvests are running ahead of schedule, but the lack of rain and cool nights are slowing pastures and second cuttings. 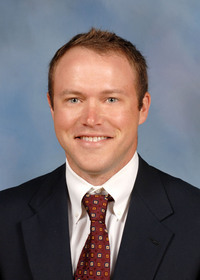 Malcolm Broome, assistant agronomist with Mississippi State University's Extension Service, said bitter cold days in December and overgrazing spring pastures are inhibiting the growth of the highest quality grasses. "The biggest issue cattle producers are reporting is the need for rain, both for pastures and for hay fields," Broome said. "Grass isn't growing well. Everything was drought stressed going into the winter and then we had colder-than-normal temperatures in December that damaged some grasses. Even though we got plenty of rain before spring, grasses are starting to need water again and the cool nights haven't helped either." Broome said some isolated showers have helped in a few areas, but a widespread rain is needed. "Because of the slow growing conditions, some producers can't close off fields for hay because cows need every available pasture," Broome said. 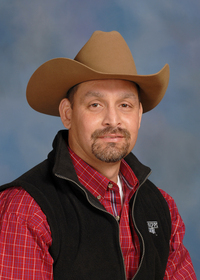 David Lang, forage and pasture crops specialist at MSU, said improving soil fertility and reducing stocking rates to prevent overgrazing are two management essentials. "Hay fields and most pastures were looking good coming out of winter because we got so much rain, but the cool nights have slowed growth so much that cows are getting ahead of the growth," Lang said. "Overgrazing reduces the desirable species such as bermudagrass, dallasgrass, ryegrass and tall fescue." In this first cutting, producers are cutting winter forages, traditionally the highest quality cutting of the year. Last year, growers averaged two cuttings, compared to the normal three to four harvest opportunities. "Most of the winter hay barely made it until ryegrass emerged and was ready for grazing in January and February," Lang said. Broome said growers in the central part of the state reported armyworm problems the second week of May. "Usually, we don't see armyworms until fall, and these seemed hungry for any kind of grass rather than just attacking bermuda," Broome said. "We hope this won't be a recurring problem this year."